With smartphones making it big, the latest buzz is now wearable tech. Fitness bands like Nike Fuelband, Jawbone UP or Fitbit Flex have made quite a name for themselves. India, an emerging mobile first market, is here with its own wearable device. GoQii (pronounced as Go-Key) is a new fitness device that goes a little beyond which involves having real human interaction as well! Vishal Gondal, the founder and CEO of GoQii, describes the crisis he faced while he tried focusing on good health habits, “being a gadget freak, I tried almost every gadget out there, every band, every device, every app but, I was still not able to make a change until I came across a coach. My coach worked with me, helped me understand all the data and suggested some very interesting changes they wanted me to make and motivated me.” The human element was missing from the available tech devices. GoQii solves that. See Vishal Gondal talk more about the new GoQii device. 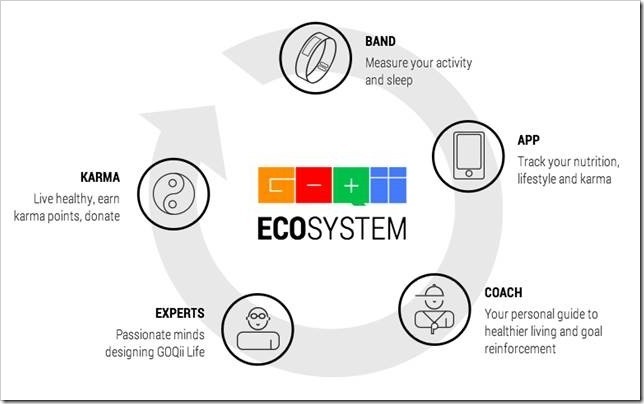 GoQii is essentially data gathering digital wrist band that tracks your burnt calories, nutrition intake, sleep habits, workout patterns etc and lots more and sends this data to the human coaches (not algo’s, which are great but not properly personalised almost in all cases). The coaches read and interpret the data and prepare personalised suggestions and goals for you and also boost your morale in achieving it. Among experts involved in shaping the product and training the coaches, Dr Shriram Nene plays a pivotal role in developing the service and product with his immense experience in health and medicine. He is also among the investors who backed this project financially. Other key contributors in this project are Kendra Markle (Behaviour Change Designer With Stanford Prevention Research Center) who designed the habit forming aspect of the product and Luke Coutinho (Author, Nutritionist, & Health Coach) who is helping the coaches in gaining meaningful insights from the fitness data tracked by the GoQii band. Vishal Gondal, the founder and CEO of India Games (acquired by Disney UTV) pours in his extensive knowledge to gamify the whole fitness experience. Karma points is the social philanthropy angle to the app to boost user engagement. The idea is very simple. You get to earn points when you achieve goals set by coaches/yourself and once you have some karma points you can donate them for charity. The service is offered as half-yearly and yearly packages which costs around INR 5999 and INR 9999 respectively. The subscription includes the wearable band, coaches, experts and karma. 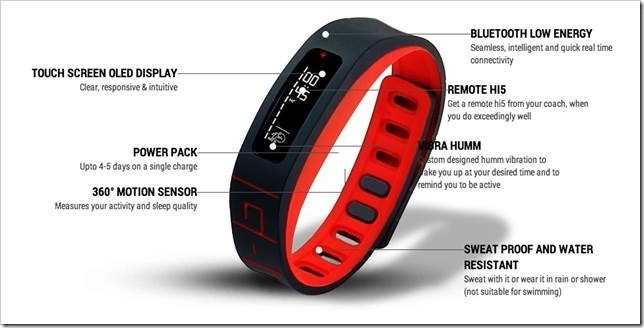 Nike Fuelband, Jawbone UP or Fitbit Flex are the early entrants in this niche who have gained some traction this far. However, the human connection to the GoQii makes it unique which might also give it an edge in the competition. The star studded investor list includes Amit Singhal (Google), Vijay Vashee (Microsoft), Kanwaljit Bombra (Dell), Bharat Vasan (MyBasis), Esther Dyson, Sanjay Vaswani, Goutam Godhwani (Simply Hired), Mahesh Samat (Epic), Mike McNamara (Flextronics), Prashant Gulati (TiE), Sanjay Parthasarthy (Indix), Steve Luczo (Segate), Taher Khorakiwala and Anil Godhwani (Habitera). Madhuri Dixit Nene has also invested in the company along with his husband Dr Shriram Nene. GoQii is headquartered in California, US with two more offices in Mumbai, India and Shenzhen, China. The product is open to select early adopters in India and will ship by April 2014. It also plans to sell in UK, UAE, Singapore etc in coming months.